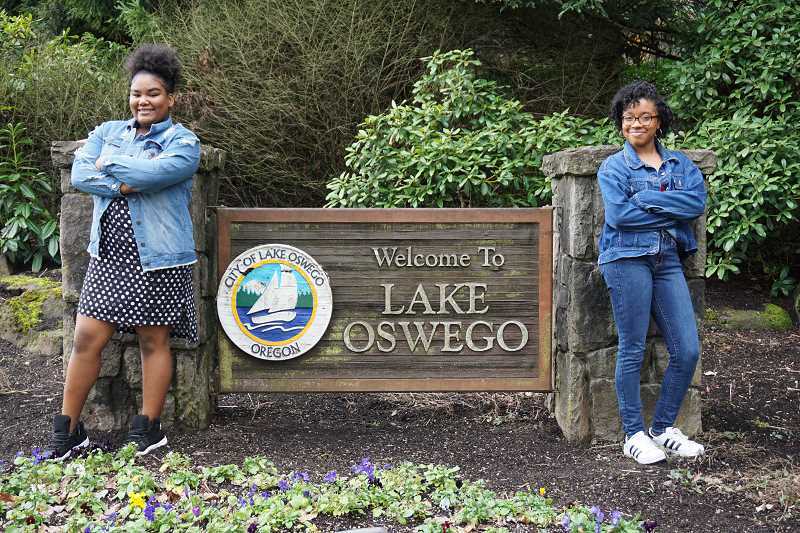 Walking the halls of Lake Oswego Junior High, A'jialia McClure and Dakota Webb say they experience a much different school environment than their peers. McClure and Webb are two of only three African American students in the school, along with their friend Christiaan Bedford. The girls say they hear "n****r" frequently throughout the day — not uttered by each other but by their white schoolmates. A'jialia and Dakota say teachers are aware of the use of the word and often hear it, but are unequipped or unwilling to intervene. In addition, the girls say, their peers frequently expect them to be the voice for all black people, and often subject them to racist stereotypes and bullying. Their parents agree, saying the physical and verbal abuse started in elementary school and continues today. Last week, that abuse took the form of a Post-it note passed to Bedford, a 13-year-old eighth-grader. It contained the words "n****r dog" and set off a firestorm of public criticism for the way the incident was handled and the punishment that was dispensed. The student who passed the note was given a one-day suspension, several sources have told The Review. Two other students were given in-school detentions. "It's just the Lake Oswego School District in itself," says A'jialia's mother, Precious Lott. "This goes clear back to second grade." A'jialia has attended school in the district since second grade, when she enrolled at Lake Grove Elementary. Dakota moved to the district in 2017 from the East Coast, where she was living a difficult life. Her father, Jay Hawkins, says he believed that by bringing his daughter to Lake Oswego, she would be able to attend great schools and be successful. But he soon learned, he says, that he "was bringing her from the frying pan to the fire." In the second grade, Lott says her daughter was stabbed by another student with a pencil. "This girl couldn't stand A'jialia, and I specifically asked the teachers to keep them separate," she says. "A'jialia is so friendly, and at that time she was the only black student at the school, so she forgave the student." Later in the school year, the same student slapped A'jialia. Lott says school administrators did not take it seriously, and the incidents were swept under the rug. "They said, 'You know how kids are, always playing,'" says Lott. "But this is not playing. To be stabbed, to be slapped — that is not funny." In the fourth grade, A'jialia says she was playing on the playground with a group of girls who told her they were not allowed to play with her. "A'jialia had braids and was wearing a sweatshirt," says Lott. "A young woman goes to grab A'jialia and snatched her whole braid out of her scalp. Not out, but off of her scalp." Lott says her daughter was in excruciating pain all day, but she was not notified by the school. She says she spoke to the principal about the incident, but there were no repercussions for the offending student. "Sixth grade was one of my hardest years," A'jialia says. "I was the only full black individual at the school, and I was very well known because almost everyone there had gone to my elementary school before." A'jialia says she was always friendly with everyone, and most people were friendly with her. But her perception changed in one day, with just one word. "I was standing outside with my best friend, waiting for her parents to pick her up, and a bus pulled by. When the bus pulled by, it stopped, and the window came down," A'jialia says. "This kid stuck his head out the window and said, 'Look at that black hole in the wall.' I turned around and looked, but I didn't see anything. And then another kid stuck his head out the window and said, 'He's talking about you.' Then the first kid said, 'Bye, n****r.' And the second kid said, 'Yeah, bye.' And the bus pulled away." A'jialia says the incident hurt her deeply, because she had never heard the word used in real life, especially not toward her. "After A'jialia was called a n****r on the school bus, I contacted the principal, and I contacted the superintendent," Lott says. "It was the Friday before spring break, so once school carried on I contacted the principal and explained the situation." She says everyone was sympathetic to her and A'jialia, and the principal promised to follow up by contacting the district's bus company to obtain any audio or video of the incident in order to identify the boys. But Lott says she was never contacted by the principal, and had to get an update by calling her three weeks later — only to find out that nothing had been done. "I asked her if there was any way that the parents could meet and sit down to talk about the situation, and she said that that was something she wasn't willing to orchestrate," Lott says. "I'm almost certain that if they (the white students) were the victim and A'jialia was the abuser, it wouldn't be as minimal as a slap on the wrist. I'm almost certain of that." In seventh grade, A'jialia transferred to a school in Portland that was much more diverse. But she says she was taught things she had already learned in the sixth grade at LOJ, and she really missed her friends. So A'jialia and her mother moved back to the Lake Oswego School District, where she is currently in the eighth grade at LOJ. "If I would have known that I would be coming back to this, I would have stayed where I was," A'jialia says. "It all went down when I got back and people got comfortable with me being there." A'jialia says that instead of saying n****r, students devised other ways to get their racist message across. "One person came up to me and said, 'What's up, my ninja?'" she says. "I said, 'Excuse me?' And he said it was just a joke and walked away. After that happened, all I knew was everybody was saying 'neighbor,' 'ninja,' 'migga,' 'mibba,' 'nibba' — stuff to go around without saying it, but basically saying it." The behavior continued until the day A'jialia accidentally said n****r. Then "everything broke loose," she says. Students began asking her for "passes" to say the word. "An n-word pass is a pass where you get to say it as many times as you want around that person, like it's OK," A'jialia says. "But it's not OK."
A'jialia says she rejected and ignored requests for n****r passes, but it soon didn't matter. "From people asking me if they could get a pass, it changed to them just saying it. They didn't care anymore," she says. "And once one person heard a white individual say it to a black individual without them reacting, they were like, 'OK, it's OK for me to say it.' Then more and more people thought it was OK for them to say it. But it's not." A'jialia says she intitially told students to not say n****r, but the word was soon so commonplace that it seemed impossible to stop. "It's honestly sad that children think it's OK to use the word so loosely," she says. A'jialia says not only does she know that teachers hear the word, but she has also been told that some teachers even use it. Regardless, she says, wants people to understand how frustrated and hurt she feels hearing the word said day in and day. "It's the type of hurt where you have to go to people who know how it feels," she says. "Dakota came to me, and Christiaan came to me and her and said, 'I need your help, there's something wrong.' I knew what he was going through. We just need to stand together. And if it's only us three standing together, well that's just how it's gonna have to be." Dakota arrived at LOJ five weeks before the end of her seventh-grade year. She says she remained largely unnoticed and unbothered. Still, moving from the East Coast was a culture shock. "I'm used to diverse schools, with all different races. I had to get used to it. It took a while for people to warm up to me," she says. 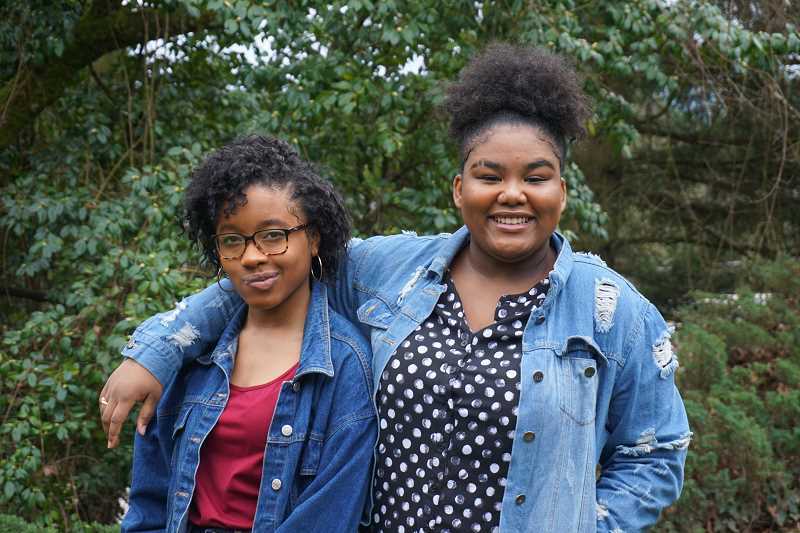 When A'jialia returned to the school for eighth grade, she and Dakota became friends — and that's when everything changed for her, Dakota says. "The problems didn't start until this year when I started hanging out with A'jialia and people started to see us together." About two weeks ago, Dakota was cooling down after basketball practice when she spotted a boy she knew. "I put my hand up to give him a high-five. He put his arm all the way back and he gives me a high-five and I jolted back from the shock of it," Dakota says. "And he's close to me, so his arm hits into my nose and I fall to the floor. I didn't see his reaction. But I had a headache all day and a bloody nose the next morning." Dakota says she would like to believe the incident was an accident, but says girls aren't typically knocked to the ground during high-fives. Her father says he knows it was no accident. "I'm a 50-year-old black man and I live in America," Hawkins says. "I know what happened." Hawkins says he is upset about the way his daughter has been treated at LOJ, but he hasn't filed a complaint with administrators because he doesn't expect results. "I wanted to, and I maybe should have, but I'm not stupid. Sometimes you don't want to do the dance," Hawkins says. "I've already been told by the kids that I won't get any results. I'm smart enough to know that I wasn't gonna get results. But the kids knew? The kids know this if they've been in the system long enough." 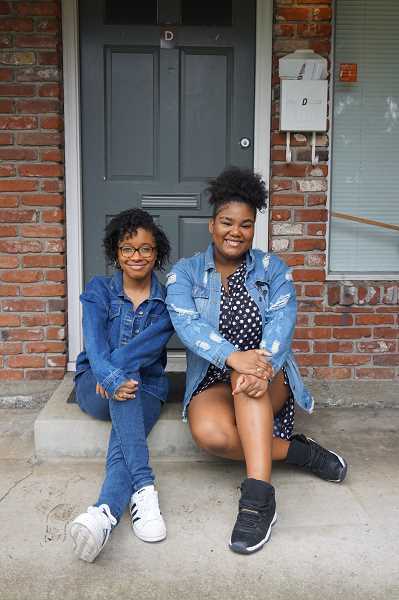 A'jialia and Dakota say they often have to put on a facade just to go to school, and their parents say the words their children hear and the treatment they receive is enough to make any adult squirm. "If I had to go to to work under these conditions, I wouldn't go to work," says Lott. "But they have to." The eighth-graders know that in order to overcome the culture of bullying, they have to put on a brave face. "I told some of the teachers, and they said they would've never thought I was going through anything," says A'jialia. "Because I'm not going to let you know that I'm going through anything. I'm coming to school with a smile and my head held high, and nobody is going to know." "It irritates and it hurts," she says. "They don't necessarily need to see that hurt, but it hurts." A'jialia's grandmother, Jeanine Montgomery, is currently navigating the workplace as an African American woman. She says "this is a hurtful thing. Very hurtful." "My daughter keeps my informed as to all of these things that have been going on," she says. "I've dealt with it even recently. The racism. It bothers me as a grown woman. This has been weighing heavily on me, because these are just kids. It's hard, because it's in our blood to love everybody." Hawkins says he can't believe how well the girls are handling the constant abuse. "The other kids are losing out, because look at the amazing people they are shunning," he says. "They can learn from these kids."